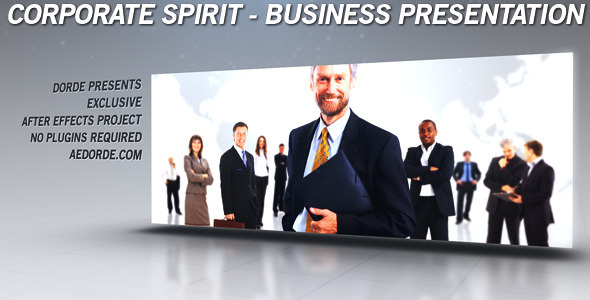 Corporate Spirit – Business Presentation. I hope you like my new clean and corporate after effects project, hope it will fit great for your new business video. This fast, dynamic and modern image slideshow can be used for any kind of video gallery (wedding, vacation, high school mates, birthday, photographer portfolio, family album, video gallery for dvd, etc…). I hope it will fit great for your modern promo, gallery, corporate, presentation video. I used great dubstep audio track I found on audiojungle, but of course you can use any kind of music you like. Also there are two versions in the preview. Project is same, I just used images in first and videos in second preview to show how this project can looks with different images/videos materials. 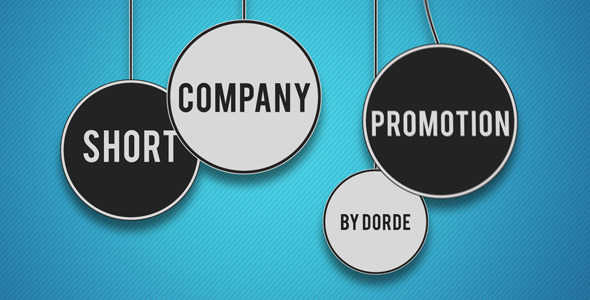 Short company promotion is exclusive videohive after effects project, I hope it will fit great for your business promotion video. – Audio track is created by audiojungle author BeatheBeat, and I used his great track Playing By Myself in this project. – Sound is created by soundroll, link for AJ item: A Way To The Top. 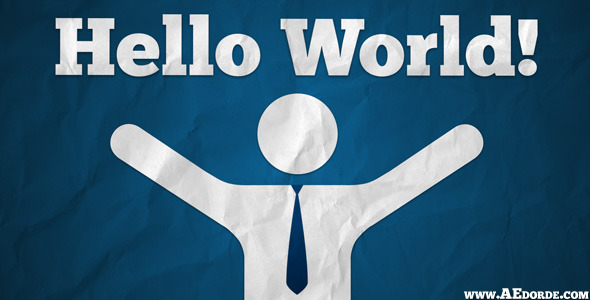 HELLO WORLD – PROMOTE YOUR COMPANY, PORTFOLIO AND STAFF is exclusive videohive after effects project, I hope it will fit great for your business promotion video. – Audio track is created by audiojungle author metrolightmusic, and I used his great track Spring in this project. 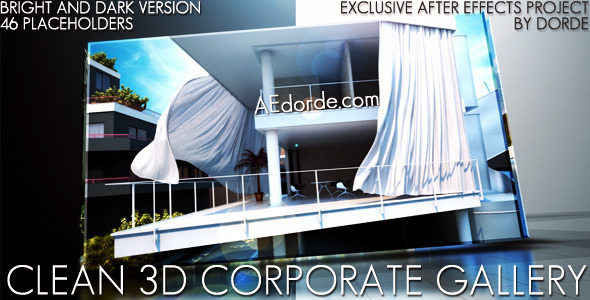 Clean 3d Corporate Gallery is exclusive videohive item, I hope it will fit great for your promo / gallery / corporate / presentation video. Epic Logo Intro is ideal for your short and powerful movie intro or trailer or any kind of opener. I really enjoyed working on this cinematic project. Smoke To Logo Reveal is after effects cs3 project, and of course it can be opened in after effects cs4 and cs5. It’s ideal for your short, mysterious, intro, movie opener, logo or text reveal. 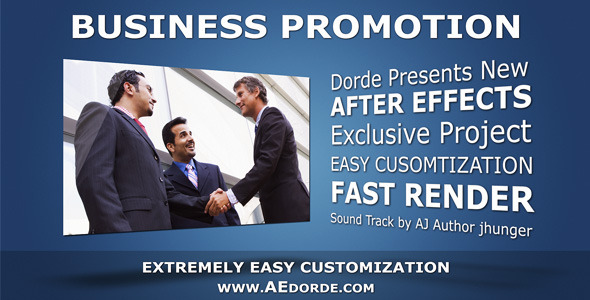 Corporate Squares is after effects project perfect for business corporate video presentation. Clean and modern look of video or photo displays with smooth motion will fit great for corporate commercial video presentation. 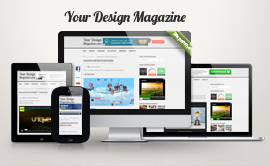 Also it can be used for web design gallery. Transforming Boxes – Logo Reveal is after effects cs3 project, and of course it can be opened in after effects cs4 and cs5. 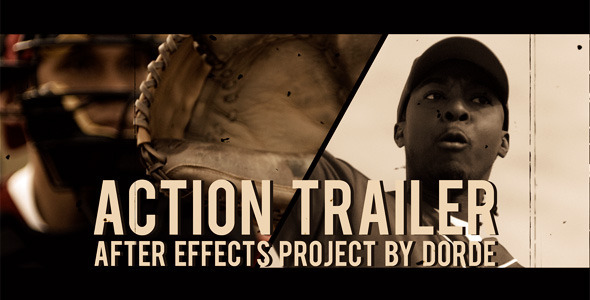 It’s ideal for your short, highly dymamic, intro, movie opener, logo or text reveal with transforming effect. You can use logo, image, video or text as placeholder. Customization steps are same. 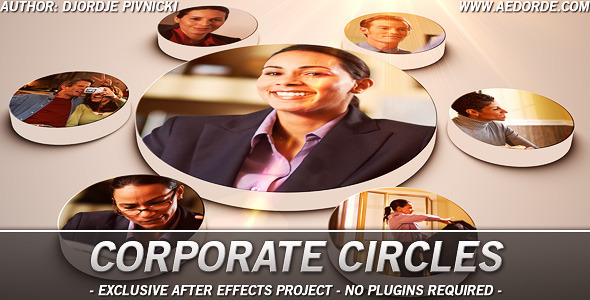 Corporate Circles is after effects project perfect for business corporate video presentation. Clean and modern look of video or photo displays with smooth camera motion will fit great for corporate commercial video presentation. Also it can be used for web design or photographer’s gallery.